Dance It Out Adaptive Program returns January 2018. Wheelchair Dancers Organization has partnered with Billy Blanks Jr to offer a new Dance It Out (DIO) Adaptive Fitness class. This all-inclusive dance fitness class will get you moving! Come exercise and have fun while dancing to over 20 styles of dance from around the world. 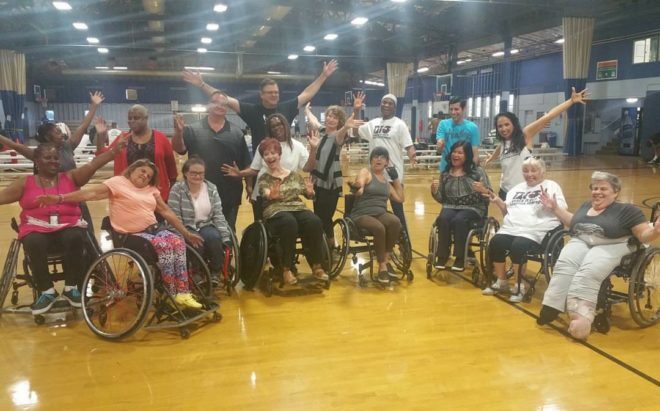 Whether you are a walker (able-bodied) or a roller (using a wheelchair) our DIO® Adaptive Program offers dance fitness routines for all levels of mobility. Open to all ages and all abilities. Bring the whole family for a fun and exciting workout.